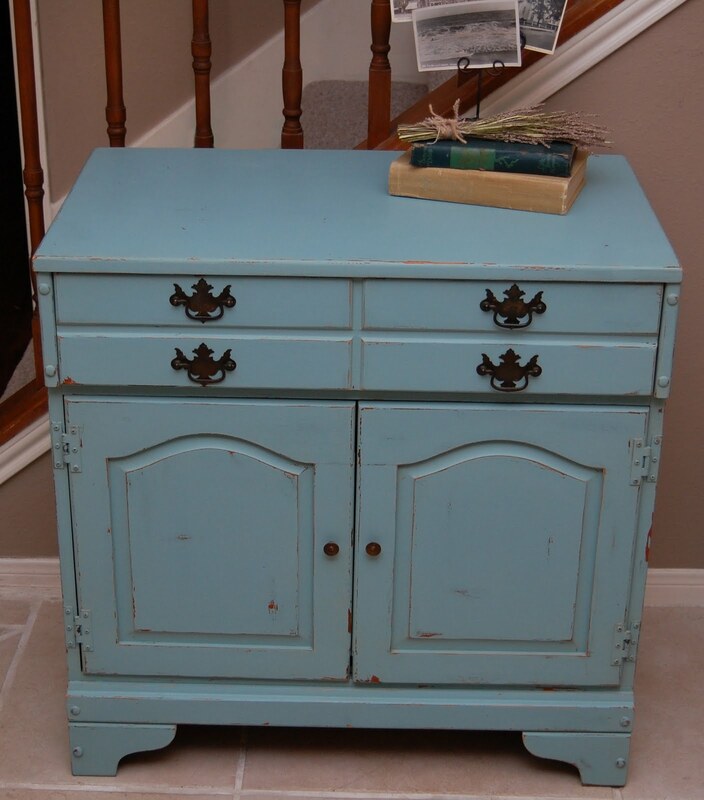 As some of you know, I fell in love with a piece of furniture that I had already sold. We named it the Pajak Bar after the sweet family who bought it. Well....not only did I find another one (to be painted later) but I found a smaller version. Here is the "famous" Pajak Bar. Here is the smaller version named the Mini Pajak. (I know...very original) He is 30" wide, 30" tall, and 18" deep. 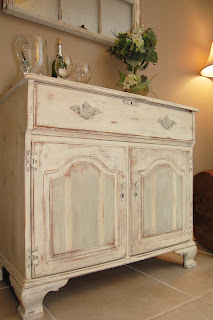 He would make a great entry piece, small TV stand or just a great decor piece. I find it so amazing that the color of the paint is different in all the pictures. 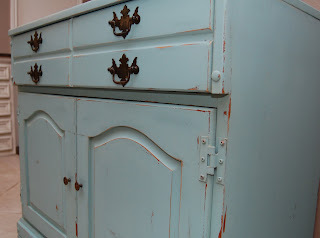 The paint is the same Drizzle from Sherwin Williams I used on our entertainment buffet. I distressed it and finished it off with a wax sealer. 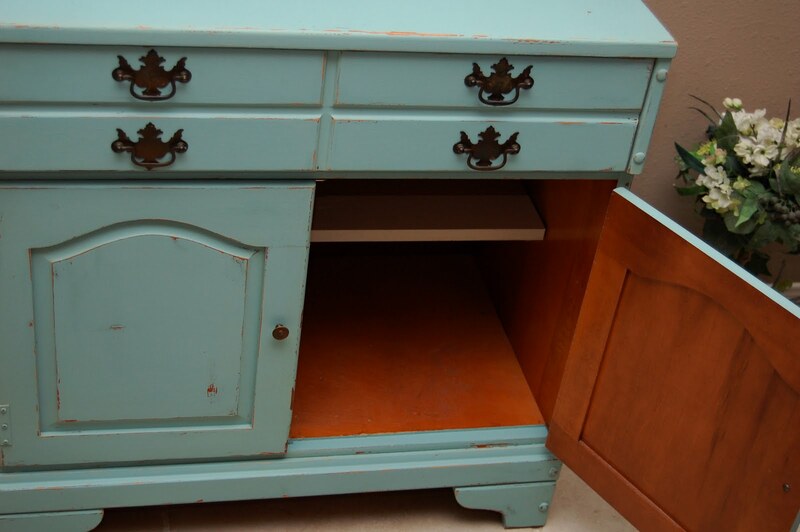 It has one drawer on top and storage underneath. I am asking $195 and if you are interested, please email me. I love it. Might have to talk to my husband. Found you from Between Naps. This is lovely! I'm looking for a piece just like this. Thank you for the inspiration! Great piece, great color, and great inspiration!! My dresser is a similar color (I use it as a side bar). 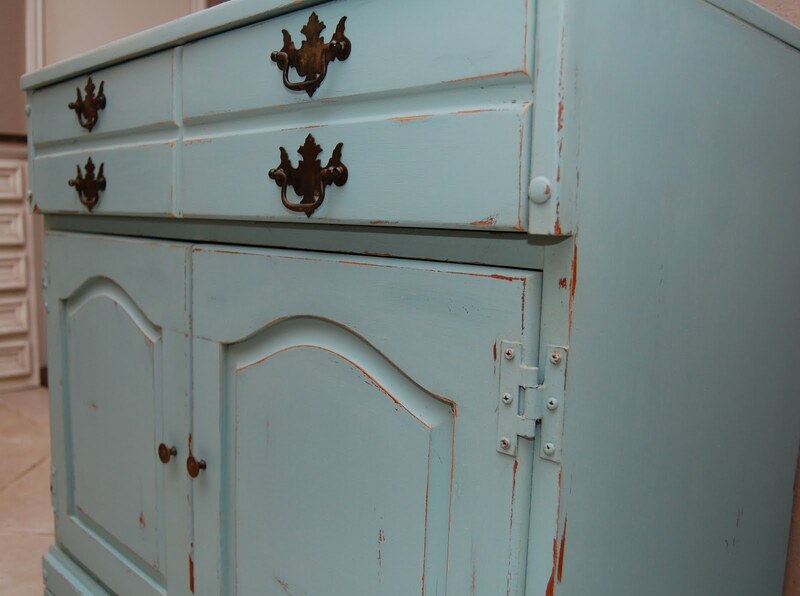 Just love blue furniture right now. I can't wait to hear if the famous mini Pajak has found a new home. And I can't wait for the sunroom to be finished so the original Pajak Bar can be proudly displayed! Please share it with my girls over at my Sundae Shake Up link party! 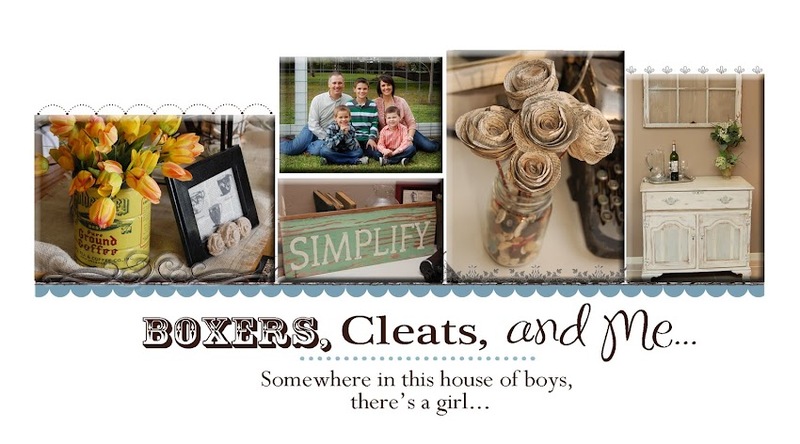 I'm sure they would love it, since my blog is a 1950's vintage theme! Thanks for linking up your Pajak Bar at my Sundae Shake Up. 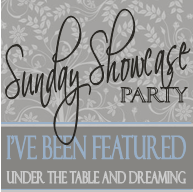 Please stop by again on Sunday for another fun Link Party! Can’t wait to see you there! I have selected to feature your Pajak Bar on my Sundae Shake Up! Feel free to stop by and grab a Sundae Shake Up Featured Bottle Cap from my blog, and link up with us again.